I had some roasted capsicums in my refrigerator and I wanted to do something with them. I found this recipe and thought I'd give it a try. This is a fabulous recipe. It is so full of flavour, it is beautiful. It is great for parties as you can prepare it earlier. I love it for a light lunch, it would be great in sandwiches. It is truly so nice, I love it. To cut down the cost you can char-grill your own eggplant and roast the capsicums. Double the quantities if you want to make it for a larger group. ​I love it with triple smoked or double smoked ham, but it is nice on it's own also. You can add ham on the side if you want it to be a vegetarian option. 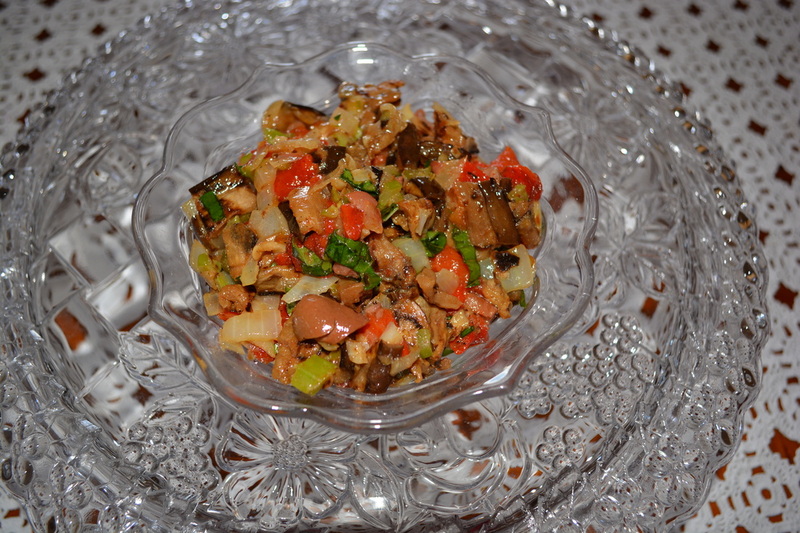 The eggplant mixture can be made several hours ahead. Just toast the bread close to serving. 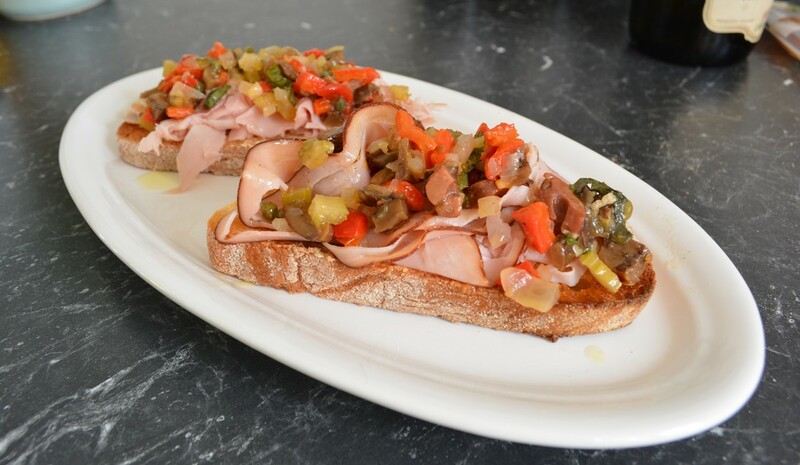 If you love an antipasto platter, you will love this. Heat the oil in a medium frying pan, over medium heat. Add the onion, celery and garlic, sauté until the onion is soft. Transfer the mixture to a medium sized bowl. Allow to cool, while you prepare the remaining ingredients. Add the eggplant, capsicum, olives, capers, pine nuts (if using) and basil to the onion mixture. Season with some salt and pepper, to taste. Drizzle with a teaspoon of extra virgin olive oil. Mix well, to combine. ​Cut the bread on a slight angle into eight slices (1.5-2cm thick). Brush the bread lightly on one side with the extra virgin olive oil, grill on both sides until toasted. 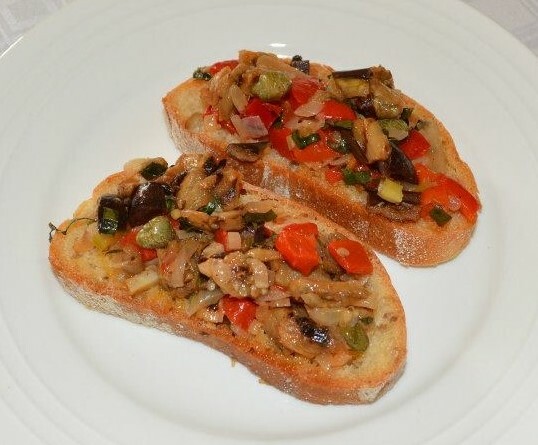 ​Top with some shaved ham, if using, the eggplant mixture, sprinkle with extra basil leaves, if desired and a light drizzle of extra virgin olive oil.